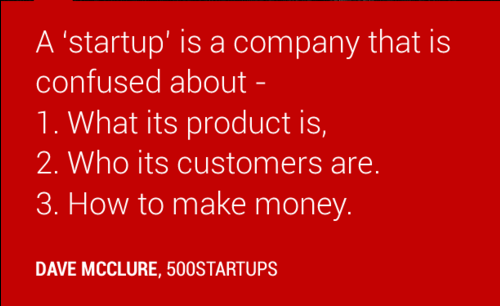 I have had a long association with Startups and the mentality that goes along with it. Currently, as a Digital Marketing expert, I see that creature of four years ago as a naïve dreamer who could have benefitted immensely from what I know today. But I do respect the Startup Spirit- that unbridled, energetic outlook on situations that uses sheer willpower to negate anything negative. I am also wary of that feeling of being on the edge of a great discovery, the self-imposed gag against spilling the secrets about my ‘BIG’ idea. The Startup Spirit calls for that perfect product, that perfect moment before climbing the rooftops and shouting about your big product or service. But wait, is the world really gonna care? What if, you have delayed the launch to the extent that the product or service now lies redundant or worse- a mere replica of another marketed product? Digital Marketing 101- If you have an idea, start talking about it today! If the initial budget doesn’t allow you to hire the professional services of a good Digital Marketing Company to setup your promotional infrastructure (website, branding etc), get online and start talking about your product on Social Media websites. Portals like Facebook, Twitter, Google+, Pinterest and LinkedIn allow you to connect with your potential target audience from the moment you have conceived the big idea, through the funding and startup stage, along product development, the market release and as a medium to generate and gather feedback. The stats say it all- 76 out of every 100 people have some type of Social Media presence, and are receptive to your BIG idea through this medium. It’s akin to plumpingup the fat goose before Christmas. That’s a figurative statement, of course. Social Media allows you to keep things fresh. With silent yet powerful Digital Marketing techniques, you can introduce new facets of your products or services progressively without allowing your overall concept to get dated. Simple hooks like opinion polls, contests, changing design and catchy content updates can all serve to keep the interest alive and generate a fair buzz before your product or service is actually launched. In my previous startup, we managed to set the stage on fire for this unique ‘food discussion’ website that did nothing more than talk of food, great places to eat and popular experiences with food. 960 Facebook ‘Likes’, 300+ Twitter follow in a span of 7 days translated to a niche audience that was clamouring to talk of food when we would eventually release ten days later. See, there is a ready market- what remains to be done is to make some noise that will attract the right attention. In conclusion, like the banner says, a Startup is a pretty confusing place. But, anything that drives you to make real change and contribute to the greater cause is always worth it. Embrace Digital Marketing; let Social Media be the Oracle that takes your ideas to the masses. Q– When does an individual reach the extreme edge of creativity, of independence and unimaginable responsibility while also singularly focussed on the unseen future? A– When he or she forgoes the security of a predictable tomorrow and invests their time and energies into conceiving and running a Startup. It’s a jungle out there- lots of people, lots of ideas. The current world is bent on entrepreneurship and honours the spirit of adventure. The boom of new companies and undertakings as seen in the last decade exceeds the modest numbers as set through the fifty years before that. What has been the spark that ignited this change? Prominence on Ideas rather than resources to setup a business. The Open World Wide Web and its free business friendly resources. Angel Investing, Crowd Sourcing and such ideas to raise investment. Society’s evolving attitude towards the spirit of Entrepreneurship. Ok, so the business of setting up a new business is completed. What next? You need a way to promote yourself, a space wherein your business can connect with its target audience, build up some interest about your ‘big’ idea, look for funding and help you analyse your audience in terms of impactful markets and demographics. 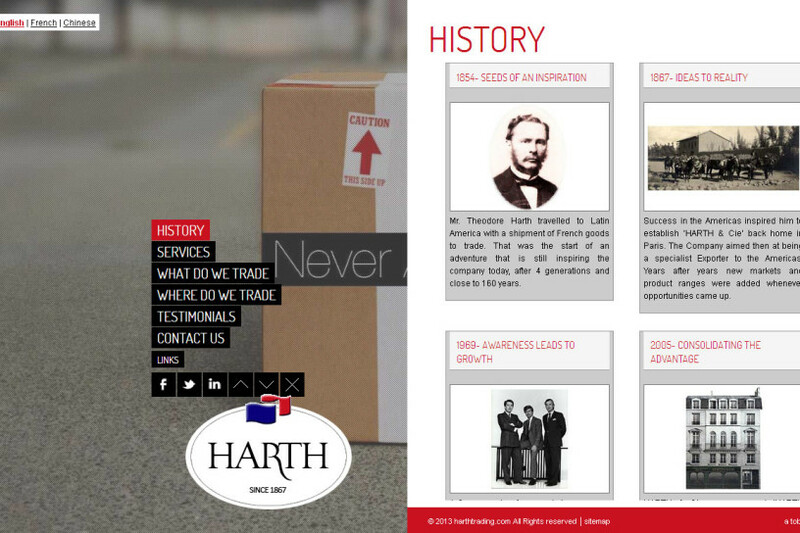 What your business needs is an attractive, opinion forming and reliable Corporate Website. A good website doesn’t necessarily have to be complicated or taxing in terms of the money and resources put into it. Your corporate website is like a company brochure that is accessible 24×7, 365 days of the years, and can be viewed from anywhere across the world. If you are still working out a strategy towards marketing your big idea- while indulged in the Research & Development phase, a simple corporate website will help you understand your target audience better while simultaneously introducing your concepts to them. Are you concerned about the Costs and the input of Time? Good websites aren’t complicated manifestation of complex digital technology that can only be afforded by big corporates. A good website speaks your heart in simple yet powerful words and provides real value- an emotional connection with its target audience. The time you dedicate to it isn’t measured in terms of minutes spent, but impressions made. And thus, if you are a Startup, looking for that powerful little website, you must feel super welcome at Toboc Biz. Our team understands the startup spirit and helps you transpire your expectations, dreams and energies into a neatly presented website. It’s magic when your expectations meet our expertise. CMS or HTML editors are great help- allowing you to modify content and images on your website easily and without the assistance of a certified Developer. CMS is important for businesses that have a lot of fresh details to report, saving greatly on the gross maintenance costs of the website. Including these things make your website confusing, not responsive to search bots from Google, Bing, Yahoo etc, and generally unpleasant as far as the User Experience is concerned. The central idea of creating a website is to make it equally appealing to ordinary website visitors as well as the specialist search bots from the various search engines. Tip 3- Launch the Complete Website, or Abort! Broken Links, improper backend coding, confusing navigation scheme, Signs that say that pages are ‘Under Construction’, slow loading time are major roadblocks that prevent your website visitors (aka potential customers) from actually committing to your product or service. These nags show your lack of preparedness or worse, lack of responsibility. The latest online adage goes, ‘Content is King’. Your website will attract all the right attention (from visitors as well as search engines) if it includes fresh, relevant content that is frequently updated. The idea is to establish yourself as a ‘subject matter expert’ that is reflected in terms of your content inputs, with the frequent updates showing your level of activity, seriousness and commitment. Being ‘Inspired’ is good; inspiration that leads to plagiarized content is a crime. In terms of the overall design, content and theme, be as original as possible. There are many tools available online that easily detect plagiarized or copied content and can lead the owner of the said content to you. The result could be a legal problem and the possibility of being blacklisted by major search engines like Google, Bing and Yahoo. 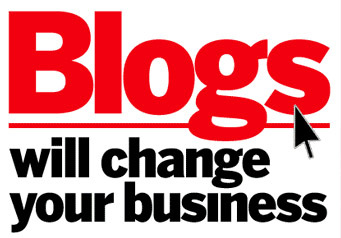 This effectively kills any business prospects from your website and will have to be pulled down immediately. There you have it- five simple tips that help you create powerful websites. However, this is just a minor list and a whole lot more ideas can be implemented or checked to derive the maximum mileage out of your Company website. Hiring a good Digital Marketing Company will help you develop the best product in terms of your investment. Also, the next crucial step, Search Engine Optimization (SEO) that allows your website to be picked up by search engines for specific keywords, is a task best performed by professionals. Like they say, ‘With Great Power Comes Great Responsibility’- you have the Power, use it responsibly. Bring in the Wow- Now! Ever wondered what differentiates the ‘Perfect’ from just ‘good’? Why something is picked up, invested in, shown interest and encouragement, recommended to others, preserved for the future and talked about with gravity, while something similar (almost) is left to run in the shadows of the aforementioned winner? The difference, dear reader, is the ‘Wow’ factor. What is ‘Wow’? – The dictionary defines ‘wow’ as an utterance that one puts forth when astonished or in a deep state of admiration. 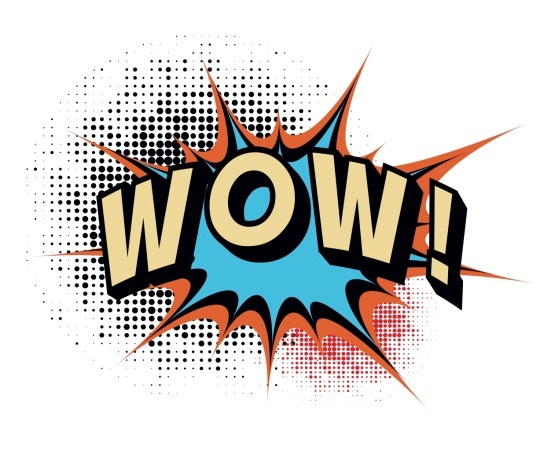 You don’t ‘wow’ something that’s normal, mundane or expected. The ‘wow’ experience separates itself from the rest by its refreshing presentation and its ability to surprise and inspire. I’am a fan of Michael Schumacher of 2010, when he was winning F1 titles left, right and center. In 2010, a chance meeting with my idol would have elicited a thunderous ‘Wow’, but the Schumacher of 2013, a shadow of his former awesome self will not inspire a response so strong. Moral- the ‘wow’ factor rapidly diminishes, and needs constant upkeep to maintain its ability to inspire time and time again. 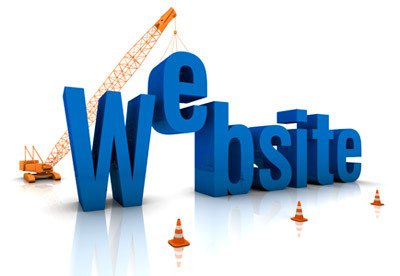 In business, your company website stands as the façade that greets your prospective customers online. Imagine, your prospective customers arrive at your website after Google has suggested you as the most viable contender for the keywords supplied by them (thanks SEO). Your corporate website is designed to provide maximum information about your company while also being attractive to the eye, not very hard on the logical senses, easy to navigate and populated by powerful concepts and ideas that are brought to life by rich colours, images and powerful content. We can assure you, provided these strict parameters are met, 80% of your website visitors will go ‘Wow’. And once the ‘Wow’ has been accomplished, your marketing message will have a much more receptive audience. Big brands routinely use this technique to maintain the aura surrounding their products and services, while a smaller brand, earnest in its approach, can still utilise the ‘wow’ factor to compete against its bigger competitors. The trick is to understand what it takes to completely impress your target audience, to put in place a disciplined system to achieve this target and finally, just go ahead and do it! And if your efforts get you a ‘Wow’, use that as bedrock to build in more ‘wows’. Remember, something remains a novelty only for a short duration- the idea of attracting somebody with something fresh is a constantly decaying concept as the more people that utter the cherished ‘wow’, the less fresh the concept remains. Thus, reinvent. Once you have perfected a powerful mode of expression, little tweaks will further bring in more encouraging results. Here’s wishing you all the best ‘wowing’. Define a business. A business is something that produces a product, renders a service and is essentially operated from an office (ignore the size) and involves a marketing division that communicates with the general public through means like Newspaper and mass media ads, Hoarding, fliers and a barrage of cold calls. Did I miss anything else, fundamentally this is it right? Define a business. A business is about ideas, products or services that are marketed from a facility that includes the corporate website as the front end representative. 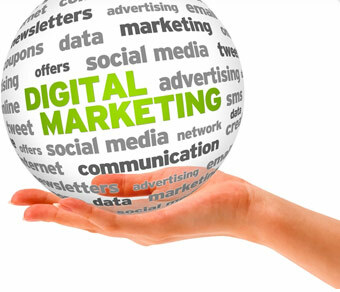 In the era of Facebook, Twitter and Google, Digital Marketing is the strongest means of promotion. Most fortune 500 companies of today comprise of a handful of employees, an idea that is angel or crowd funded, and utilizes creativity as the means of connecting with the target audience (replacing the stubborn sales pitches of before). Evolution is a good thing. Evolution is designed to level the playing field while weeding out the potential winners from the ‘also rans’. Running a business today is all about that BIG IDEA. If you do have an idea, the next stage of organizing it can be done from your Home or if you are more traditionally minded, from your garage (la, Google and Apple). The point is that organizing an office infrastructure is optional. A good website, one that pulls all the bells and whistles, is sufficiently capable of running your promotions, marketing campaigns, queries for funding and invites for partnerships at a marginal investment as compared to setting up an actual office- with its cubicles, White boards, conference halls and water dispensers. Build a good website that speaks of your idea sincerely from its HTML heart. Invite for funding- and relax, Angel funders of today are interested in the feasibility of your idea rather than the furnishing of your office. Your best online friends are Facebook, Twitter, LinkedIn and Google- Use the unlimited power of Digital Marketing to promote your business. Keep talking about your business with gripping content. Let this content reach far and wide through the medium of the Internet. Sit back and never get complacent. And that’s it. This marks the start of an exciting journey. If your idea is indeed something spectacular or your efforts the stuff of legends, herein is your chance to be counted amongst the best minds of our times.